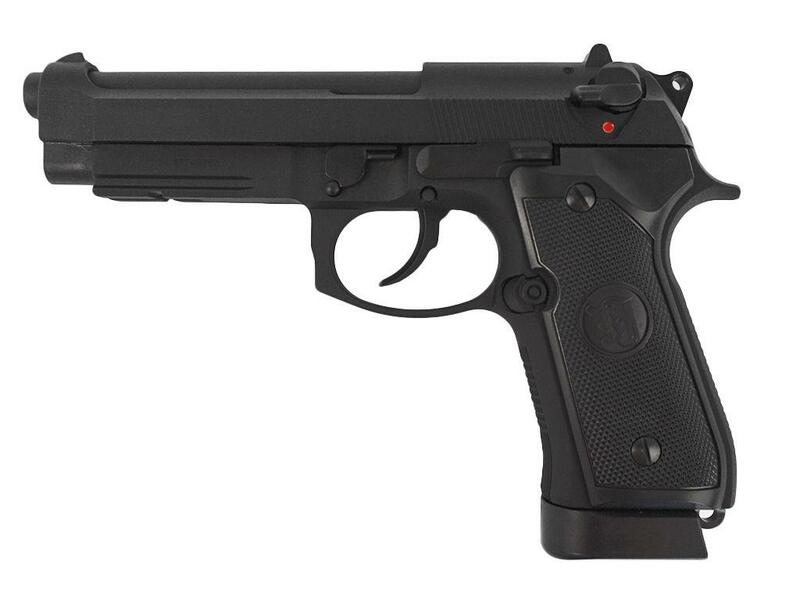 KJ Works M9A1 Airsoft Pistol CO2 Blowback |ReplicaAirguns.ca | New Website! 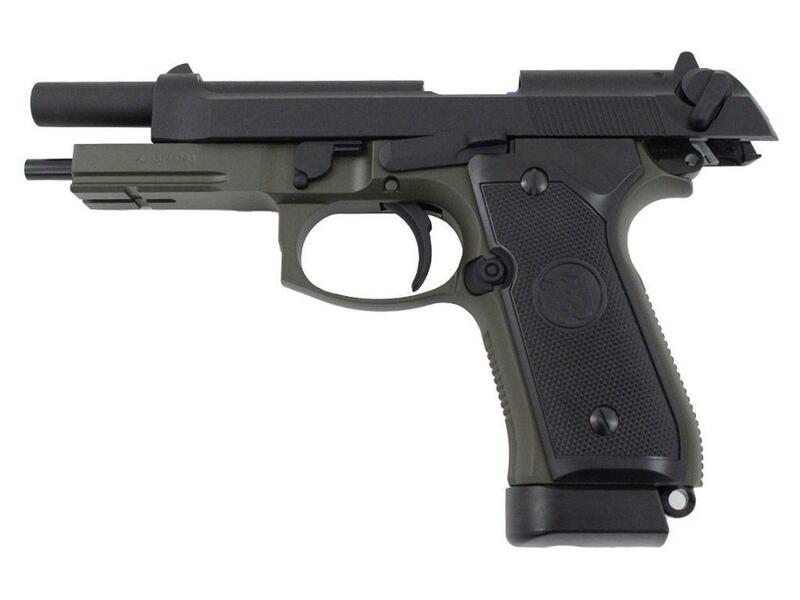 Note: This Table Top review pertains to two products: the KJ Works M9 Tactical Full Metal Green Gas Blow Back Airsoft Pistol and the KJ Works M9A1 Full Metal Blowback CO2 Airsoft Pistol. 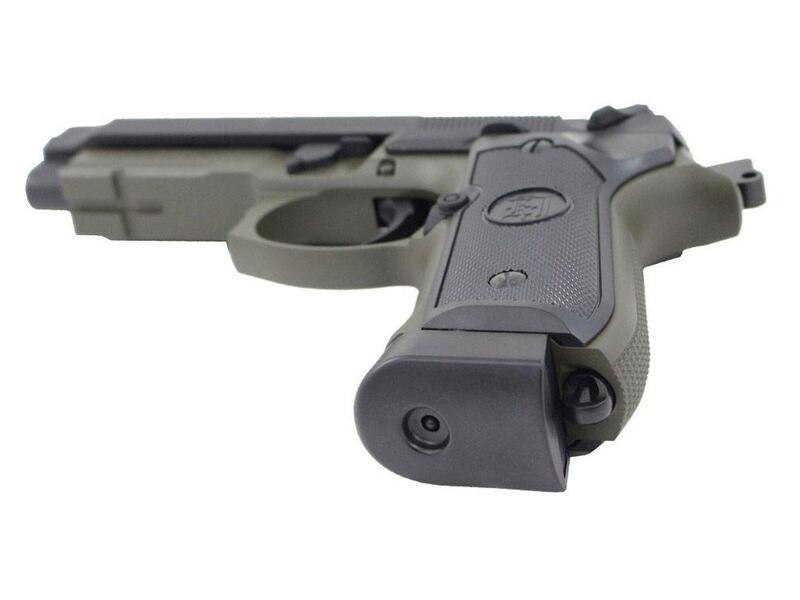 Trigger Pull: The trigger pull on the KJWorks Beretta M9 & M9A1 are very good in both single and double action. 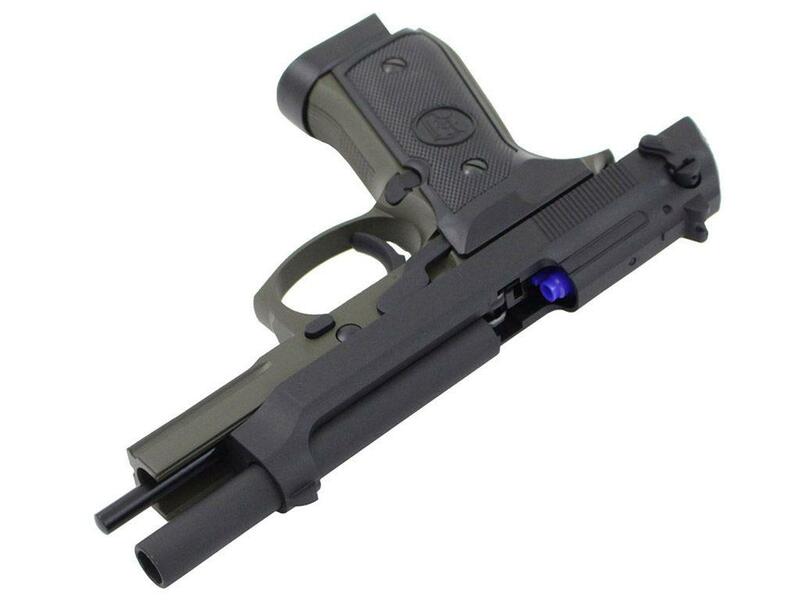 Double action is a bit longer and heavier than when shooting in single action but not heavy by any means. 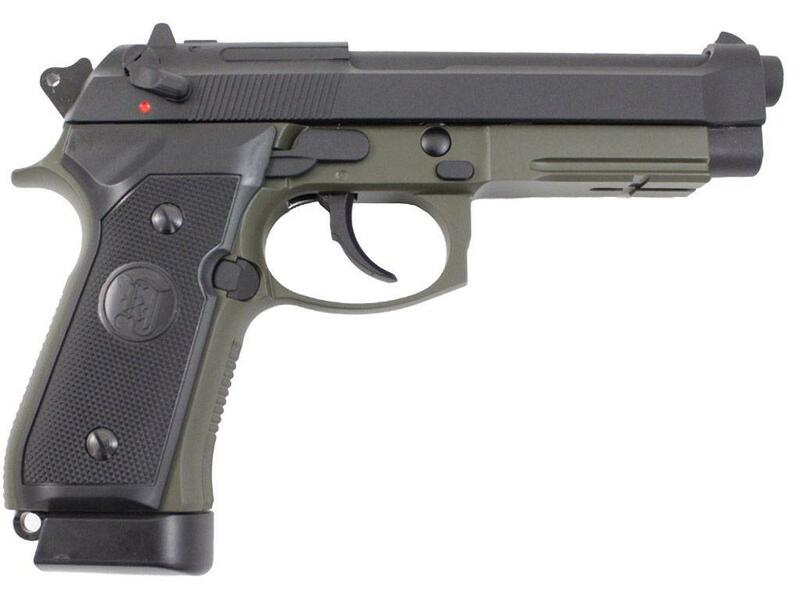 Single action shooting is short, light and crisp as you would expect when shooting a real steel Beretta 92 style pistol. 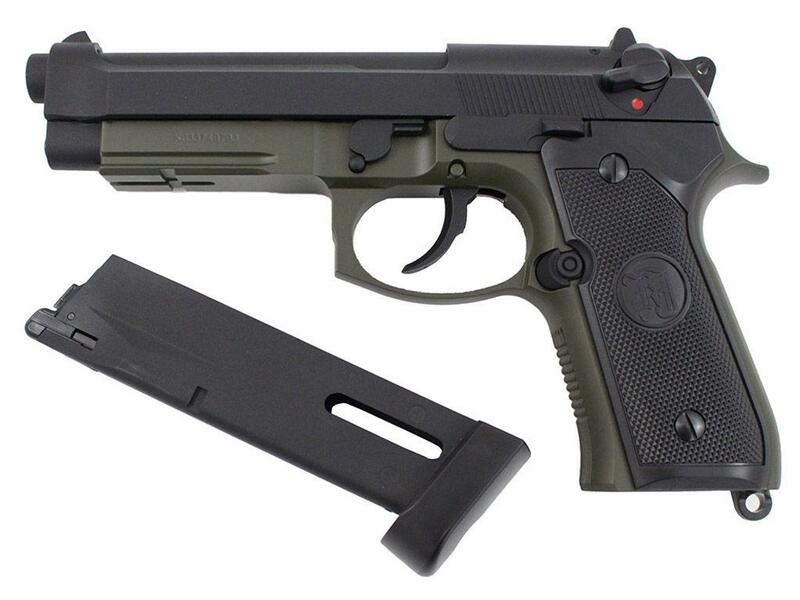 Build Quality: As expected, the KJWorks M9 & M9A1 build quality is just like all the other KJWorks Airsoft guns I've tested so far, excellent the fit and finish is the best in my opinion even when compared to my 4.5mm steel BB shooters. 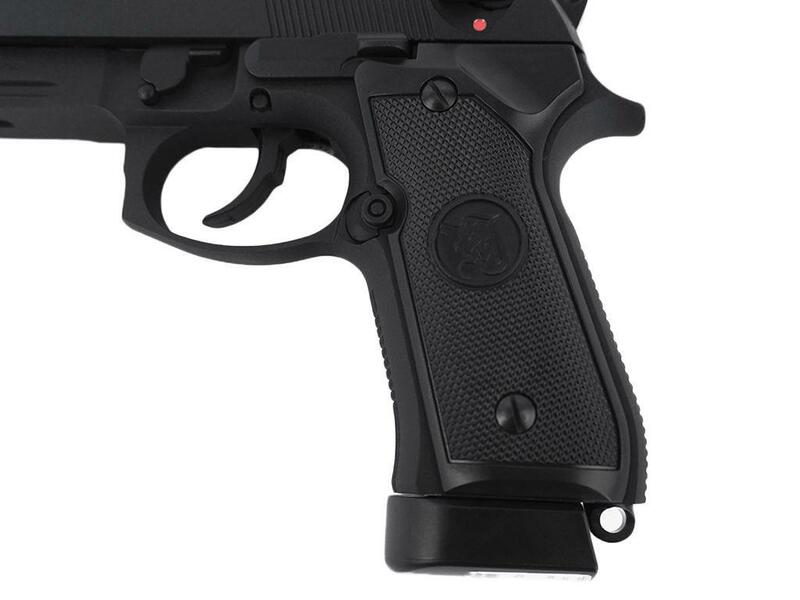 When using these guns regularly, areas that are painted like the metal friction areas show very light wear which is rarely the case with metal built blowback Airguns. Again the tolerances between the moving parts like the slide and frame are very tight showing excellent workmanship and machining from KJWorks. 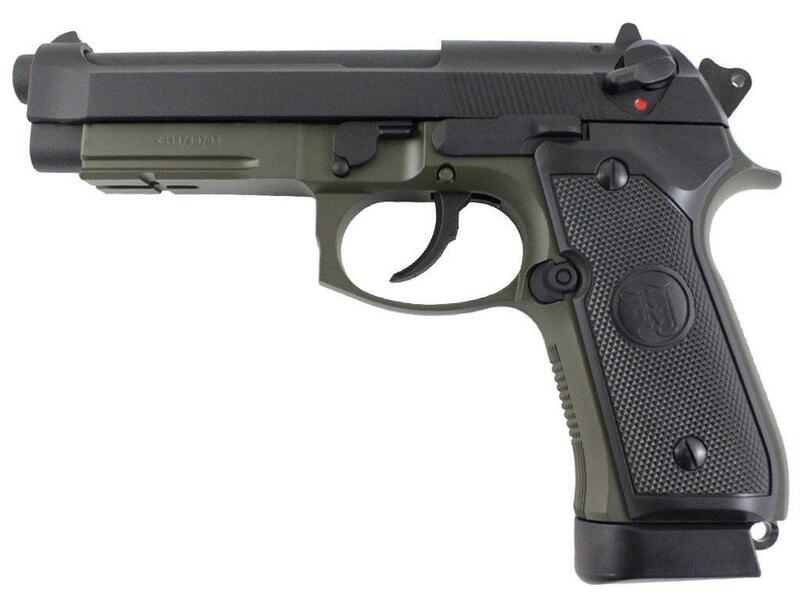 Realism: Both the KJWorks M9 & M9A1 are copies of the real steel popular Beretta M9 & M9A1, it is really hard to tell them apart from the real versions. 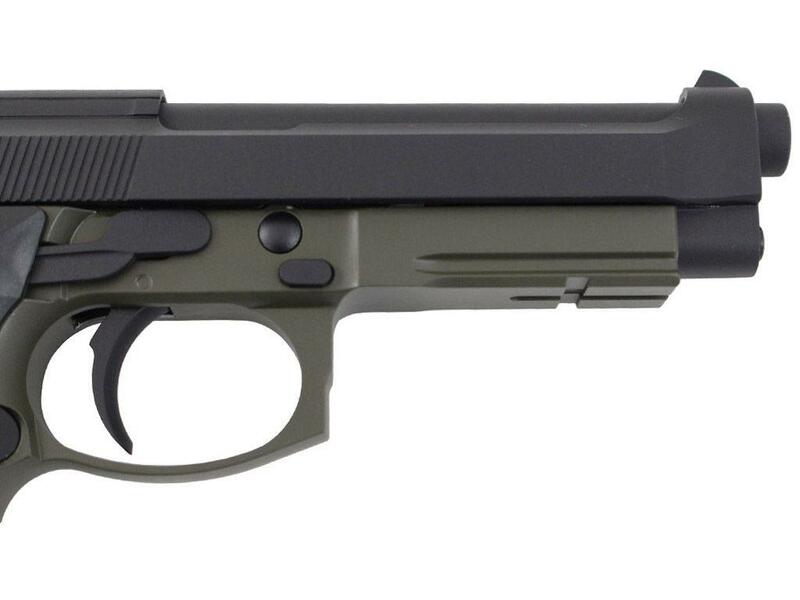 Both the M9 and M9A1 are very similar in design with the M9A1 having some slight cosmetic differences, the biggest being the addition of a tactical rail built into the frame. 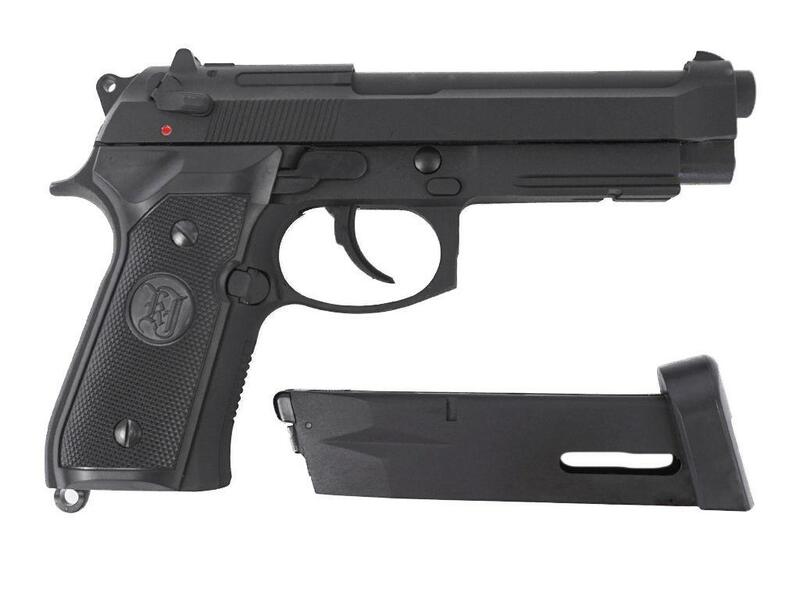 Both KJWorks Beretta's can be field stripped in the same manner as a real Beretta M9 Semi Auto pistol and all parts function the same. 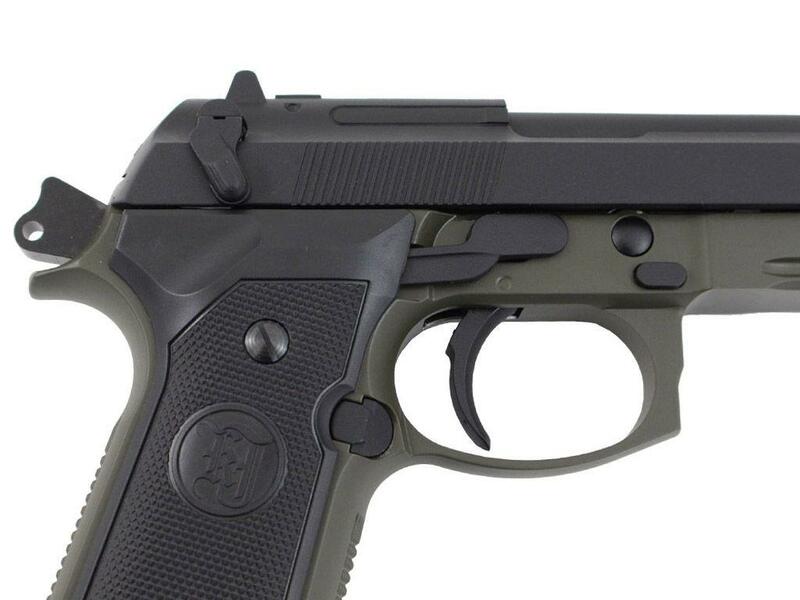 White dot sights make it easy to shoot on most backgrounds. 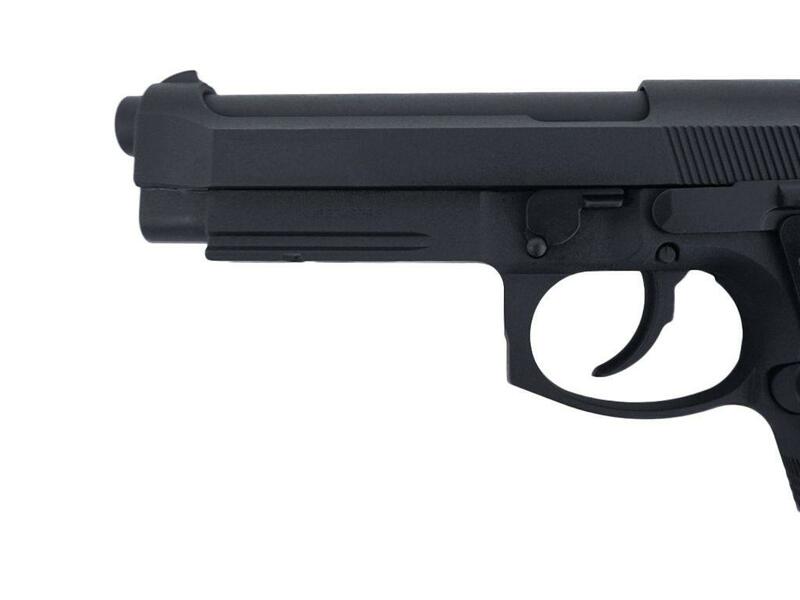 Comments: The KJWorks Full Metal M9 & M9A1 are yet more examples of excellent full blowback Airsoft pistols from KJWorks. 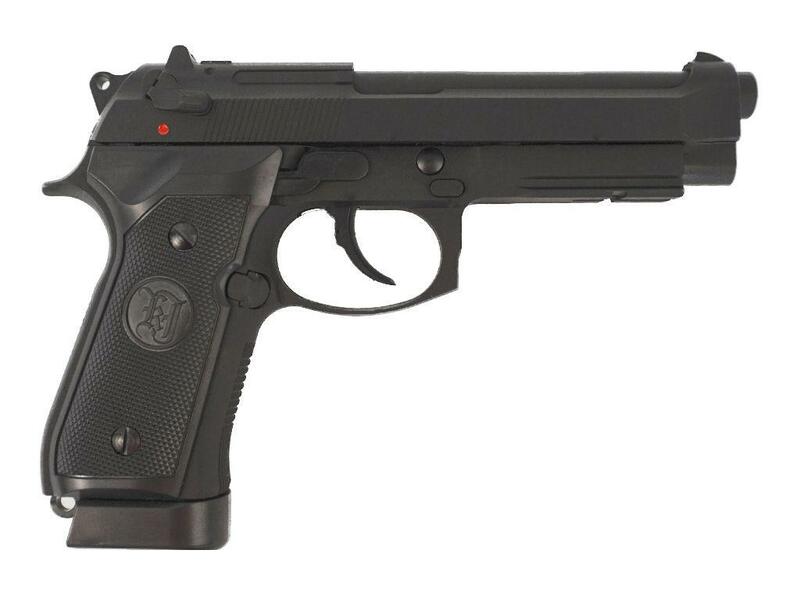 They are built to very high standards, are near perfect replicas of the real steel Beretta M9 & M9A1 and performance is also excellent. 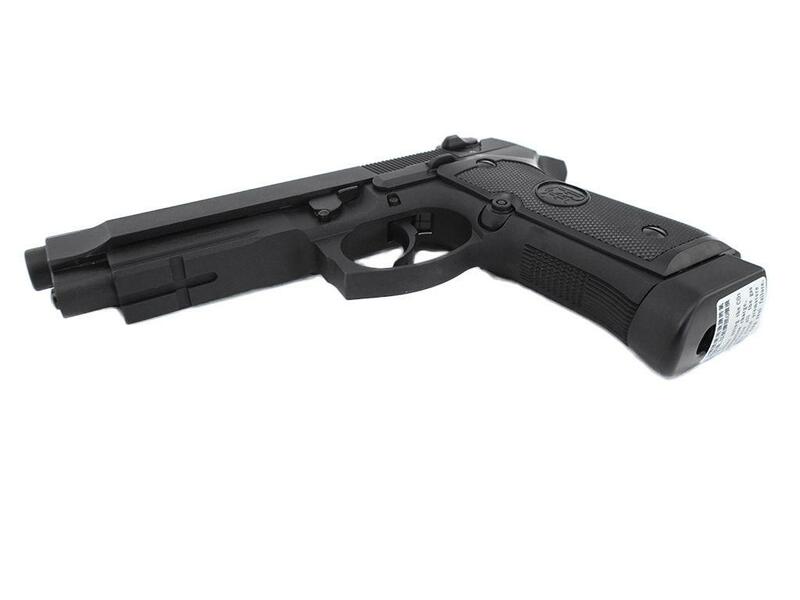 Yes the price is slightly higher than a similar Airsoft gun from KWC but the quality on the KJWorks is definitely worth the extra cost.